With its striking scenery and wealth of outdoor adventure activities, Revelstoke is just as much fun in the summertime as when it’s covered in snow. Ringed by ice-scoured peaks, pristine wetlands, mighty rivers and wildflower-filled meadows, Revelstoke is a mecca for outdoor enthusiasts. A small, historic city located approximately 400 kilometres west of Calgary on the TransCanada Highway, Revelstoke is well-loved among skiers and snowboarders, who brave the gnarly winter driving conditions of Rogers Pass to ride the steep runs and deep snow at Revelstoke Mountain Resort. But Revelstoke also has a lot going for it as a summer destination for hikers, cyclists, climbers, paddlers, photographers and anyone else who appreciates sublime mountain scenery. The epicentre of the action is downtown Revelstoke; a character-filled zone with eclectic shops, riverside parks, cool cafs, craft breweries and the kind of friendly, laid-back vibe you might expect from an authentic mountain town that has fully embraced its adventurous ways. 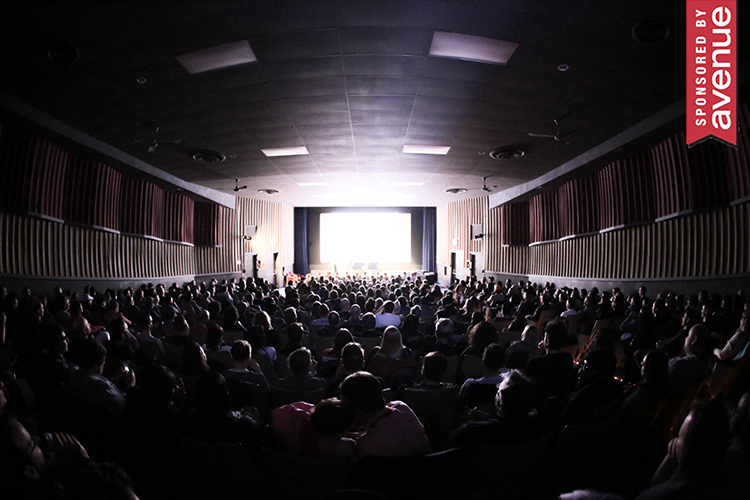 Photograph courtesy of Revelstoke Tourism/Jara Sijka. Lake Revelstoke is a 115-square-km body of water created by the massive Revelstoke Dam. Rising 175 metres high, the dam is an impressive structure in its own right, with a visitor centre that offers guided and self-guided tours, plus a gift shop, theatre and interactive exhibits. For those looking to explore the lake, Natural Escapes Kayaking offers a variety of tours that incorporate glacier-fed waterfalls, sandy beaches and peaceful forests. Led by knowledgeable guides, the tours include the use of locally made, handcrafted wooden kayaks. 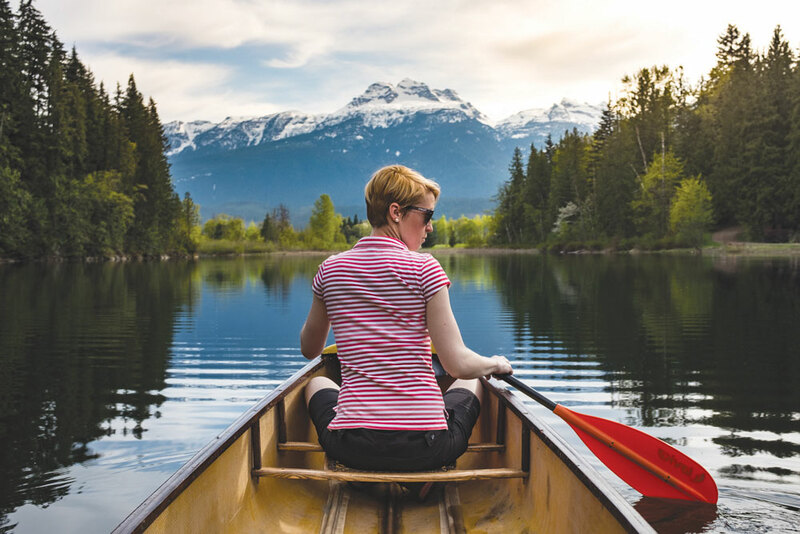 For stand-up paddleboarding and whitewater rafting, Everything Revelstoke is a local adventure-booking company with a storefront office on Mackenzie Avenue (Revelstoke’s main street) that offers a variety of experiences on regional waterways. Their whitewater-rafting trips down the Illecillewaet River will appeal to adrenaline junkies, as the river plunges through Rogers Pass and includes sections of class-three rapids, as well as relaxing stretches floating past idyllic old-growth forest. “The Pipe” at Revelstoke Mountain Resort is a white-knuckle winner. 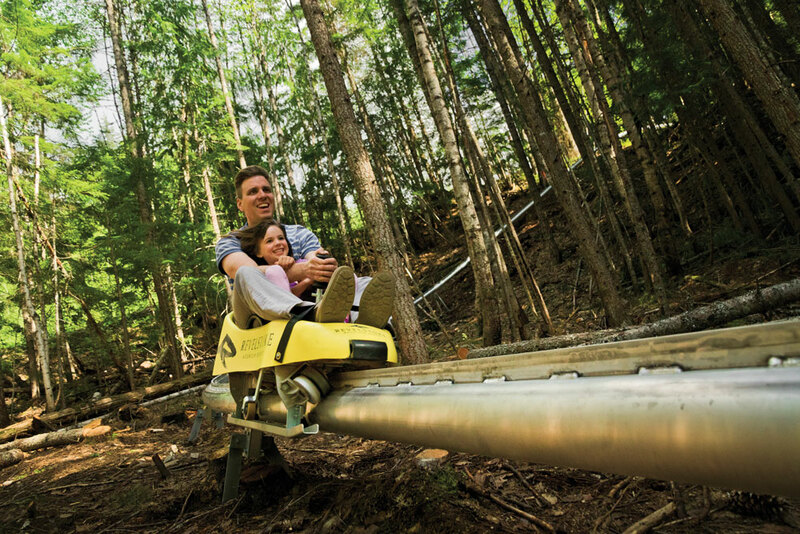 Launched last summer, the downhill coaster proved popular with all ages, far exceeding ridership expectations. More than 80,000 riders took a plunge down the Pipe in 2016, making it one of the most popular attractions in Revy in just its first season. The exhilarating ride starts from the gondola mid-station and runs down a 1.4-km fixed track, reaching speeds of up to 42 km per hour over a dizzying drop of 279 vertical metres. Kids who are too little to pilot the coaster cars can double with an adult. Photograph courtesy of Parks Canada / Karen Best. The Meadows in the Sky area of Mount Revelstoke National Park is a must-visit for outdoor enthusiasts. 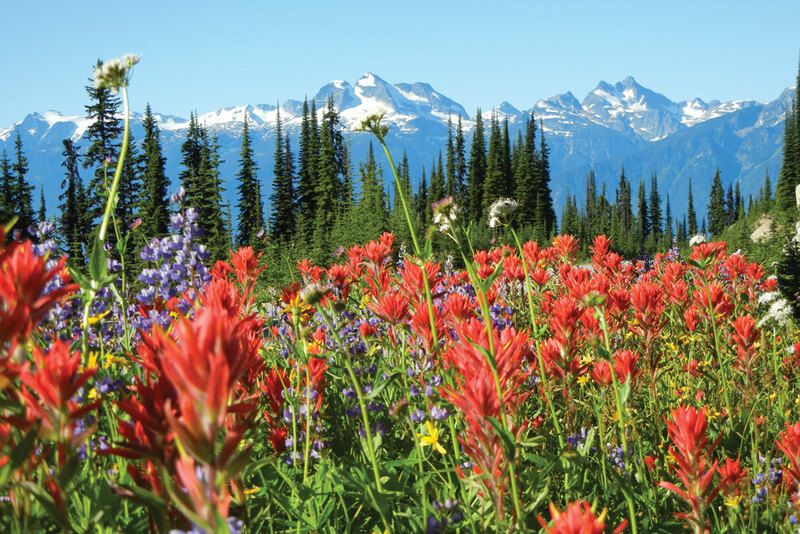 Meadows in the Sky is one of Revelstoke’s top attractions – a stunning alpine zone with a web of hiking trails, aerie viewpoints and vast expanses of wildflowers. Located just up from town to the northeast in Mount Revelstoke National Park, the area is accessed by the 26-km Meadows in the Sky Parkway, a stretch of road built between 1911 and 1927. The sweeping turns and 16 switchbacks make the Parkway a road-cyclist’s dream (at least those who can handle the grunt-fest on the way up). For hikers, the short stroll to the historic fire tower lookout at the summit via the 350-metre Firetower Trail is a must-do. The lookout was originally built in 1927 and was operational until 1988. It has since been designated a Federal Heritage Building and features a viewing platform for public use. For those looking for a longer hike, the full-day (return) trek to Eva Lake is an undisputed classic. The splendour of the high alpine draws intrepid hikers upward, though the effort required to reach these zones is formidable. If you don’t know the area, don’t own the right gear and are inexperienced when it comes to navigating technical terrain, it can even be deadly. The best option? Hire a professional climbing guide. Revelstoke Backcountry Guides can facilitate an unforgettable high-alpine experience (including day hikes and multi-day adventures to backcountry huts) to some of the most sublime terrain in western Canada. For example: attempting the summit of Mount Sir Donald, one of the classic climbs in Canada, isn’t for the faint of heart. However, with a guide, the eight-to-12-hour climb in exposed terrain along the famous Northwest Ridge becomes a doable deed. When the trails have been trod and rapids have been run, downtown Revelstoke is where you want to roll. Summer Street Fest, a summer concert series, runs every evening in the central Grizzly Plaza, providing a great opportunity to mingle with locals and groove to live music. 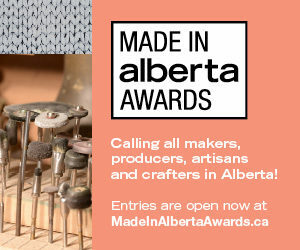 For a rustic local coffeehouse, head for the Modern Bakeshop & Cafe on Mackenzie Avenue. If it’s ice cream you want, try the house-made gelato at La Baguette. And don’t leave town without picking up some local beer from Mt. Begbie Brewery. 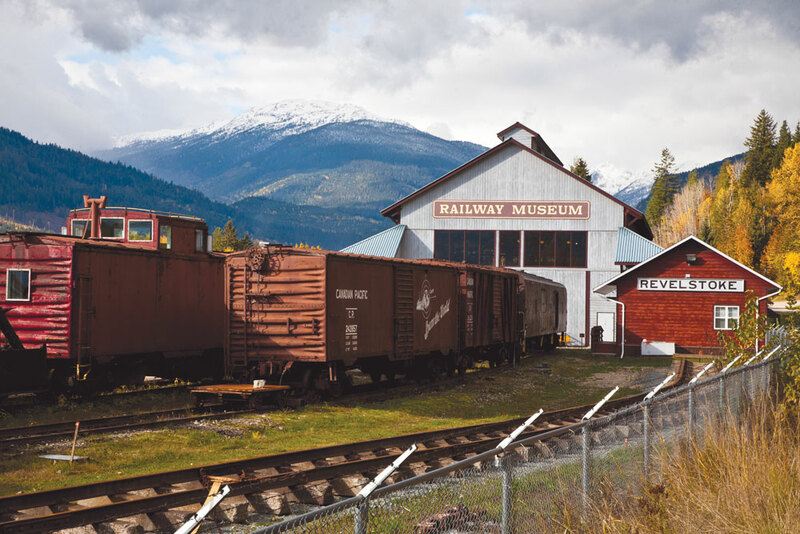 If you want to learn more about Revelstoke’s past, work in a trip to the Revelstoke Railway Museum or do a self-guided tour of the architecture in the downtown area – one highlight is the neoclassical Revelstoke Courthouse. Overhead view of the pool area at the Sutton Place Hotel at Revelstoke Mountain Resort. A luxurious, condominium-style ski-in-ski-out hotel with stunning views of the surrounding Monashee Mountains, the Sutton Place Hotel at the base of Revelstoke Mountain Resort is an ideal place to call home during your getaway. 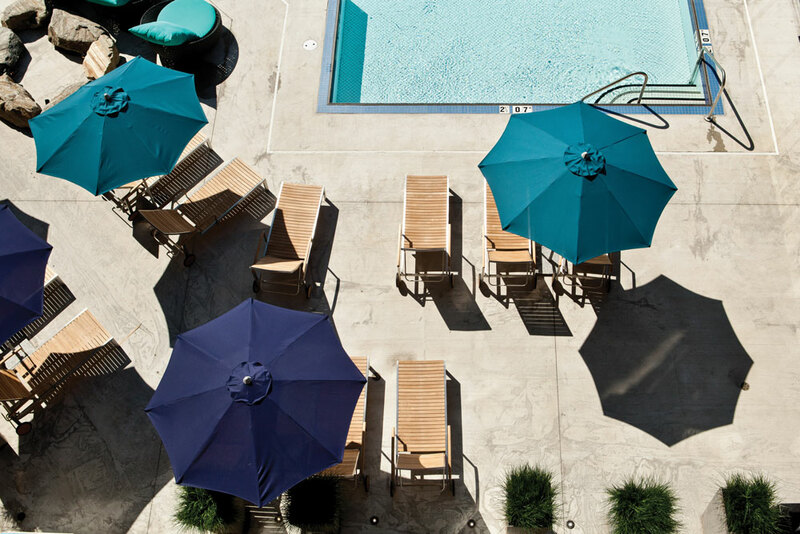 The hotel features underground heated parking, premium amenities and a beautiful outdoor-pool and hot-tub area. The resort village offers a range of dining options, including the West Coast-contemporary Rockford Wok, Bar and Grill, The Mackenzie Common Tavern, a second location of local caf La Baguette and Revelation Lodge, a cafeteria-style restaurant at the mid-station of the Revelation Gondola with a 2,400-square-foot outdoor patio. Both the Rockford and Revelation Lodge offer a buffet breakfast during the summer season. If it’s camping that melts your butter (or s’mores), head for Williamson Lake Campground. Located just a few minutes’ drive south of Revelstoke, this clean and cozy 50-site campground features a private beach, huge playground, canoe and paddleboard rentals, concession stand, free Wi-Fi and super-clean showers. 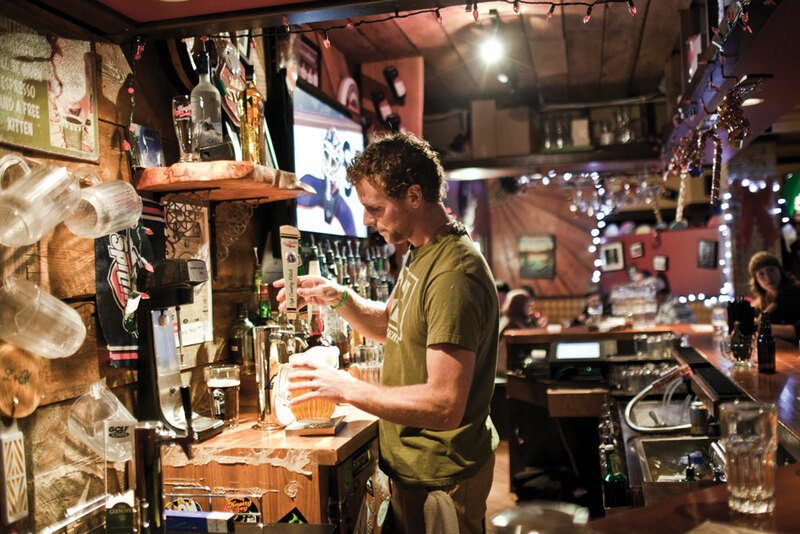 By its own admission, this pub is a hub for “toque-wearing, beer-drinking, pizza-eating skiers and snowboarders,” as well as anyone else who appreciates a bona fide mountain-town hangout. This place has the best beer selection in Revy (smoked porter, anyone?) with a delicious comfort-food menu to boot. “The Mac” is located just steps from the base of the Revelstoke Mountain Resort gondola, making it a great place to stumble into for all your aprs needs.